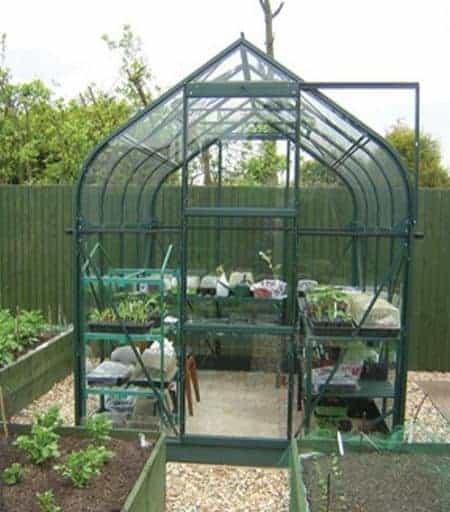 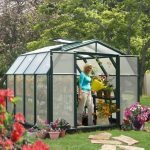 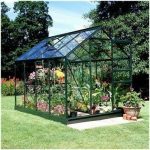 This 8 x 6 greenhouse is a great-looking feature for any garden, and one of the best things about it is the apex roof, which really adds a lot of character to the structure, while also bringing more head height inside the building and giving you more protection against rainwater. 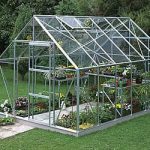 The roof and sides of the unit have extra bracing, which makes it a very strong construction. 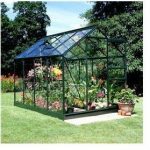 This really provides massive protection all year round, and makes the construction very durable. 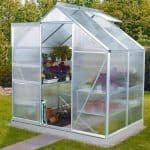 And of course, it protects the plants inside. 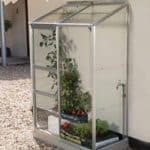 There is a powder-coated frame too, so you have immense protection against rust and therefore even longer life for your product.